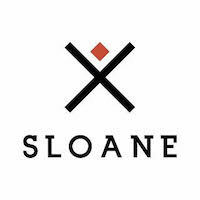 Sloane is a direct to consumer brand that has created a premium-quality undershirt for men. “The Invisible Undershirt” matches your skin tone and blends in with your outer shirt, and it’s made of ultra-soft, breathable material that’s said to be 50% more breathable than traditional cotton undershirts. The Sloane undershirt has a wider and deeper cut around the neck, and is also a bit longer than typical undershirts, in order to prevent becoming untucked and bunching up above the belt line. Sloane also recently launched the Swankerchief, a premium handkerchief you can see in this YouTube video.